Patio is almost complete so we’ve started to think about how we might soften it a bit as it feels like a concrete landscape at the moment. A few years ago I saw the great Geoff Hamilton lay a patio on Gardeners World. As he was laying the slabs he left few gaps which he later used for planting herbs for summer scent. So we decided to do the same thing. 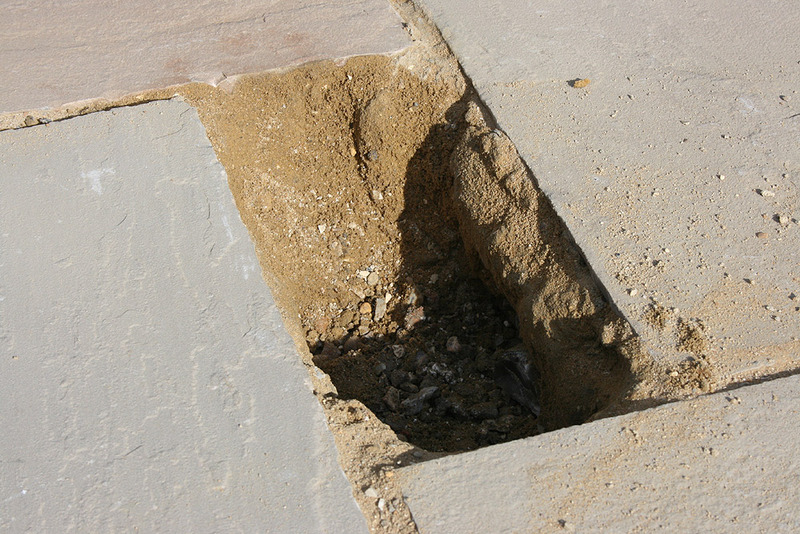 Basically we chopped out the sand and cement and then filled the hole with a 50/50 mix of sharp sand and topsoil. 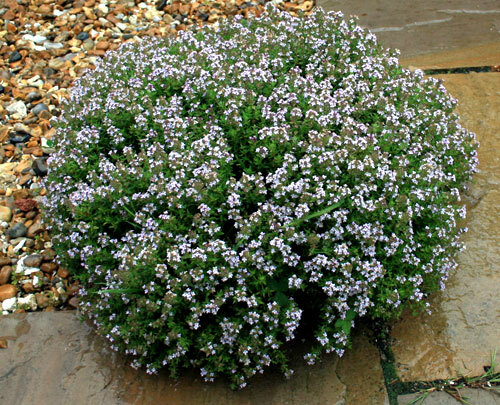 The Mediterranean herbs, like thyme, marjoram etc are not particularly fussy about the quality of the soil but don’t like to sit in water, so good drainage is important. Looking forward to the summer by which time they will have taken and should be growing away well. Just need to keep them watered until they are established. 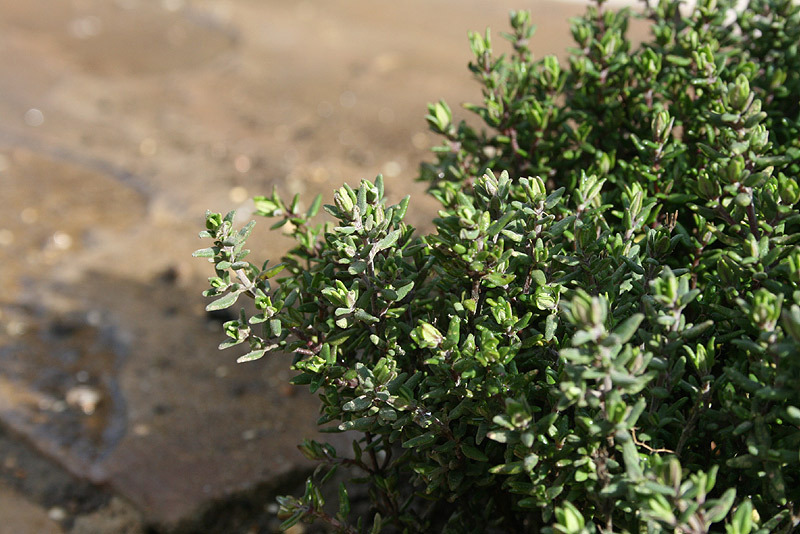 Update – 2 years later and the thyme looks like it’s been there for ever!